Whole of Government approach – Tánaiste Frances Fitzgerald’s Department of Business, Enterprise and Innovation to conduct wage surveys. The Minister for Justice and Equality, Mr Charles Flanagan TD, and the Minister of State with special responsibility for Equality, Immigration and Integration, Mr David Stanton TD, has announced the launch of a public consultation on tackling the gender pay gap. The consultation will open for submissions from August 14. 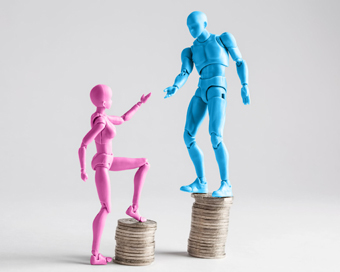 Employers, trade unions, educational institutions and members of the public will have six weeks in which to make a submission on what can be done to narrow the gap between male and female earnings. This process will take place in conjunction with the Department of Business, Enterprise and Innovation, which will coordinate engagement with the private sector, including wage surveys.